WASHINGTON, D.C., March 30, 2015 – Over the past year, U.S. Transportation Secretary Anthony Foxx has visited more than 100 communities and heard one common story – shared by all – about crumbling infrastructure and dwindling resources to fix it with. Today, Secretary Foxx sent to Congress his solution to this problem: a long-term transportation bill that provides funding growth and certainty so that state and local governments can get back in the business of building things again. The GROW AMERICA Act reflects President Obama’s vision for a six-year, $478 billion transportation reauthorization bill that invests in modernizing America’s infrastructure. As lawmakers try to fund transportation beyond May 31, GROW AMERICA provides members of the House and Senate with the option of increasing investment in surface transportation by 45 percent, and supporting millions of jobs repairing and modernizing roads, bridges, railroads and transit systems in urban, suburban, and rural communities. A recent study by the Department, Beyond Traffic, confirmed that America’s infrastructure is failing. Drivers spend more than 40 hours annually stuck in traffic. Sixty-five percent of the roads they drive on are in less than good condition; one out of four bridges they cross needs to be replaced; and public transit faces an $86 billion repair backlog. The report also revealed that, over the next 30 years, Americans will ask more of our transportation system than ever before. 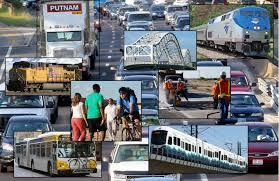 The United States’ population will grow by 70 million; freight traffic will increase by 45 percent. But rather than doing more, funding uncertainty has forced many states to do less instead. Tennessee, Arkansas, Delaware, and Wyoming have delayed more than a billion dollars in projects. Georgia, alone, has set aside $715 million in projects, while Mississippi has shifted its transportation dollars only to smaller maintenance efforts. As it stands, total investment in our roads, bridges, and transit systems is falling well below the level that is needed to keep them in good condition. Empower local government by providing more funding to high-performing Metropolitan Planning Organizations (MPOs).